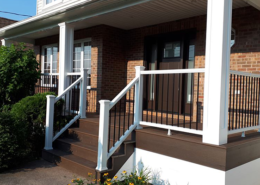 This home owner wanted simplicity with a touch of classic. 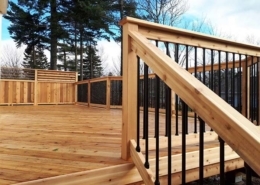 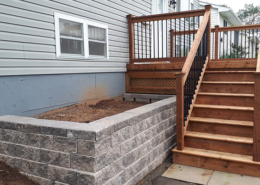 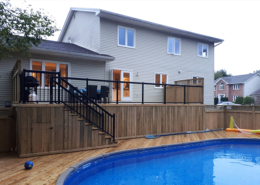 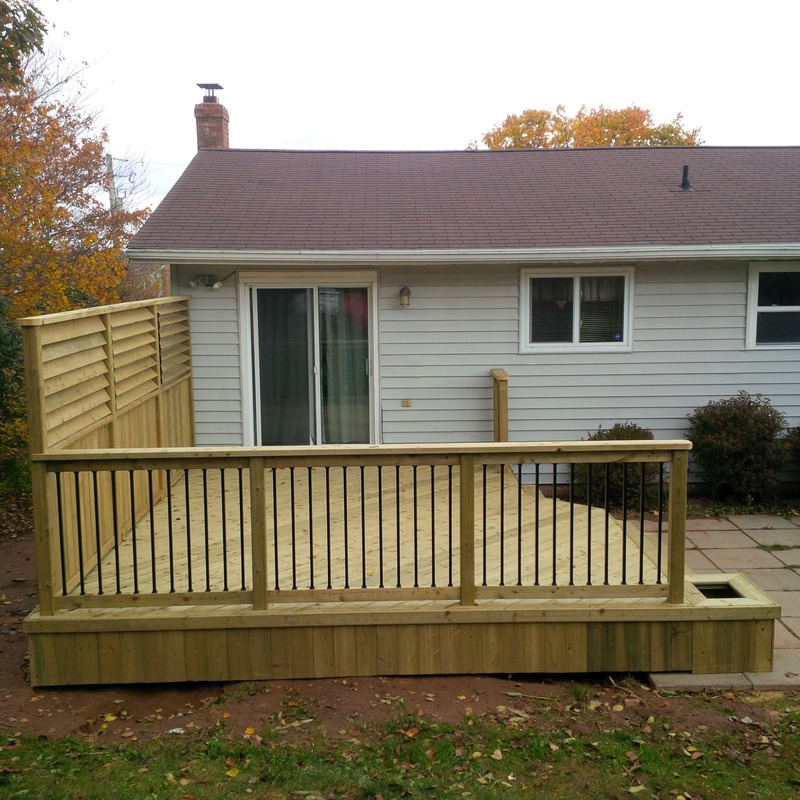 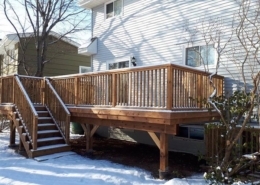 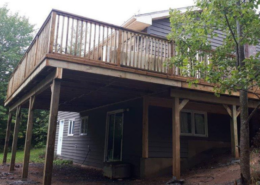 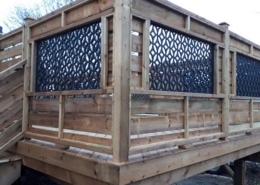 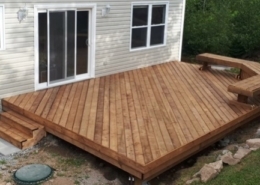 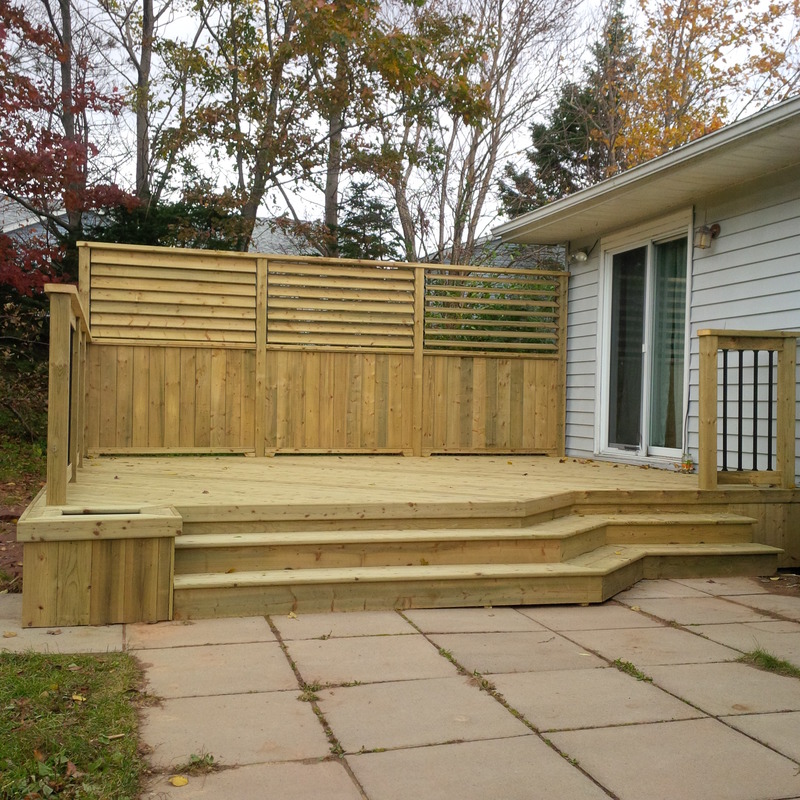 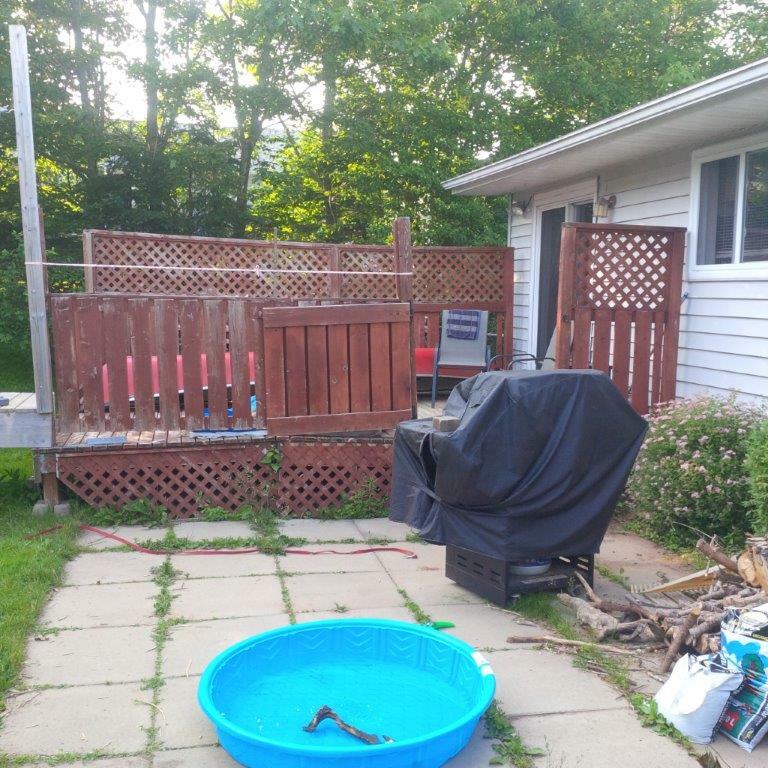 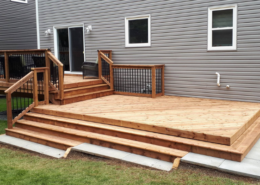 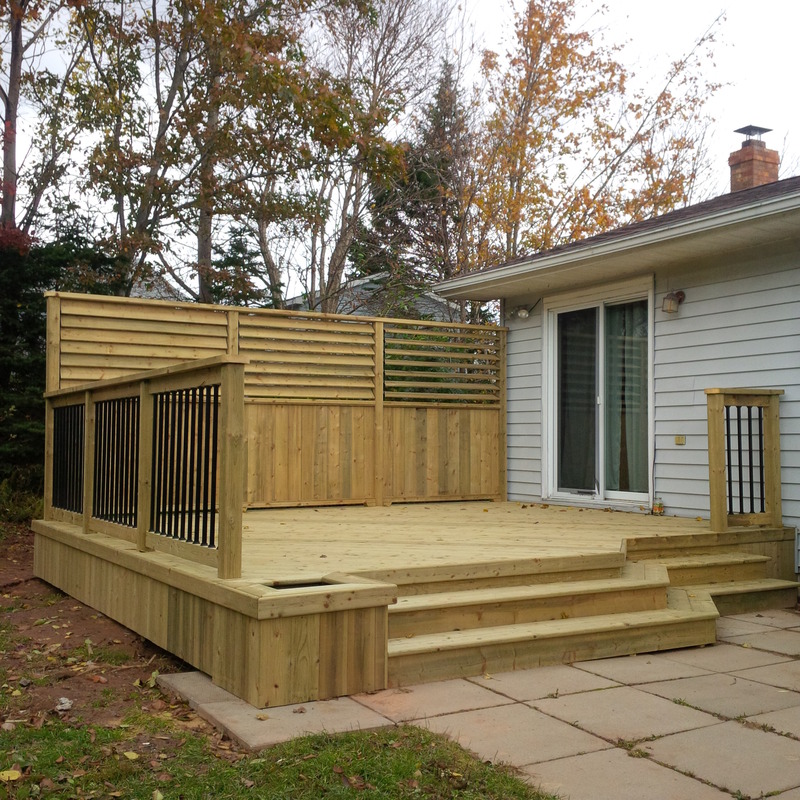 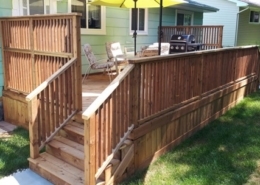 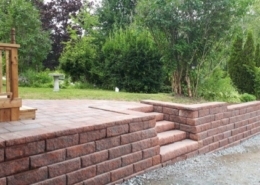 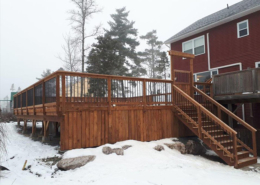 This deck was designed with a sleek look using full width flare stairs, a custom built planter box and a beautiful privacy wall with 30” horizontal louvers. 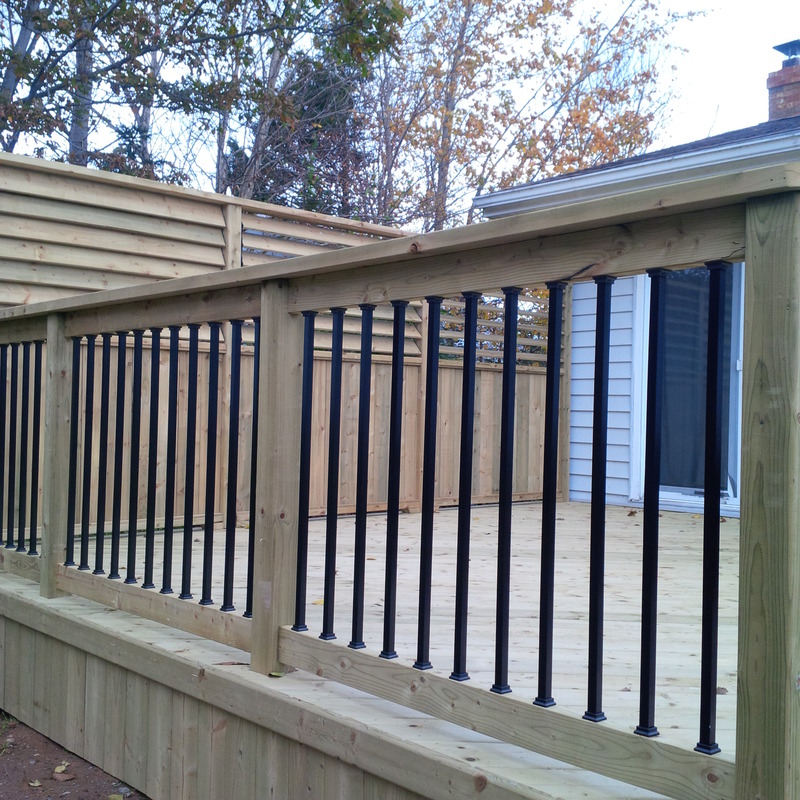 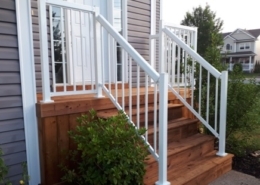 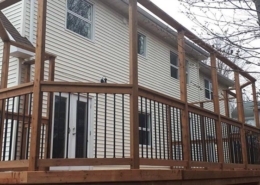 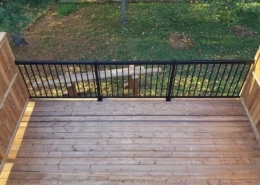 Black Deckorator square aluminum balusters were used for the railing system to add a touch of that classic look.